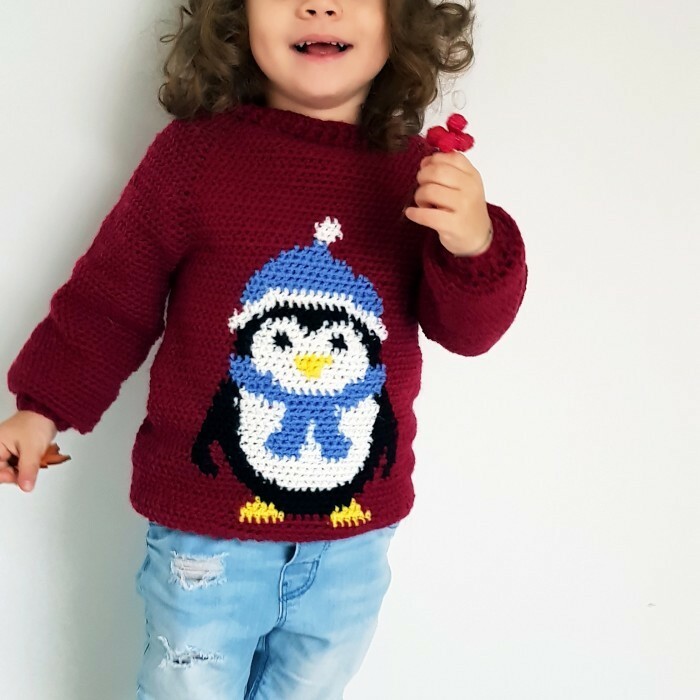 This cute penguin sweater is a top-down sweater made with Easy Care yarn. 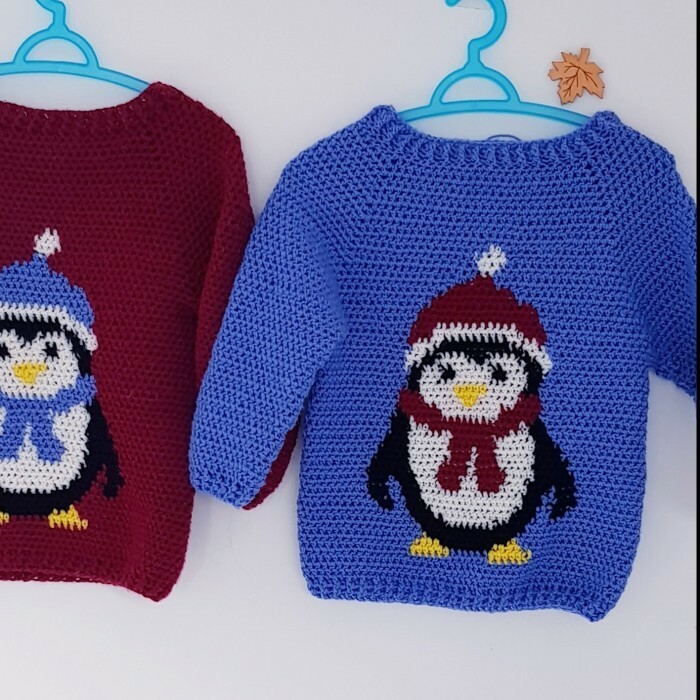 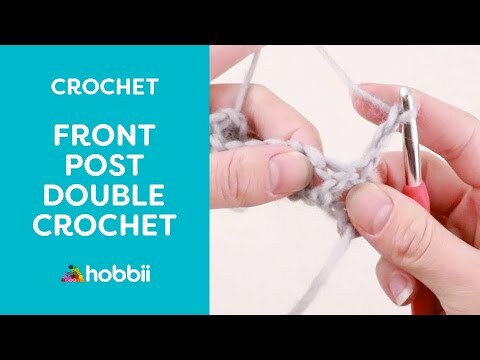 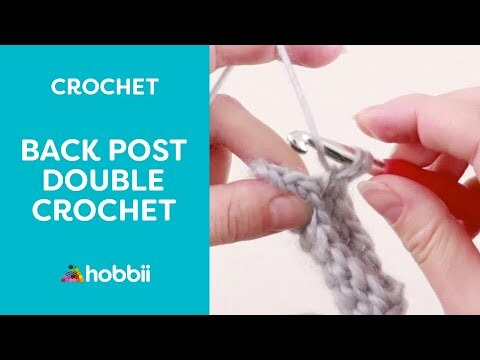 The penguin pattern is made using the tapestry crochet technique. 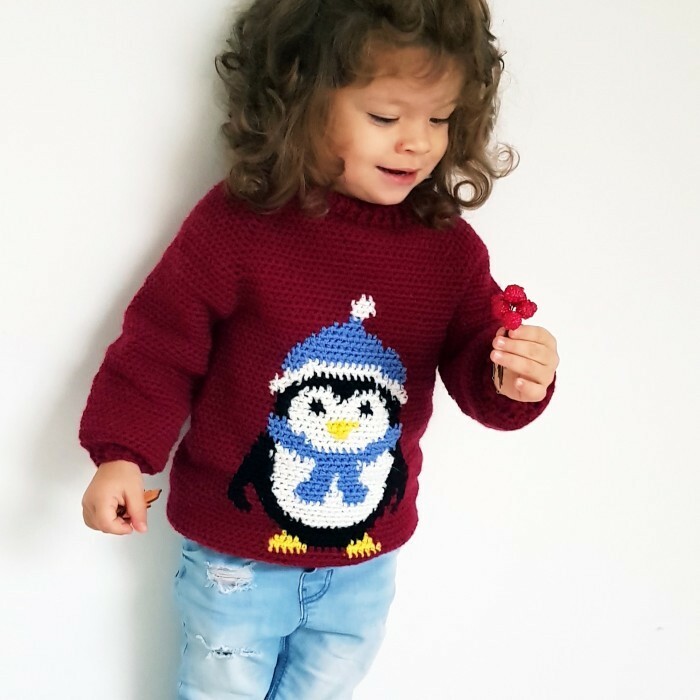 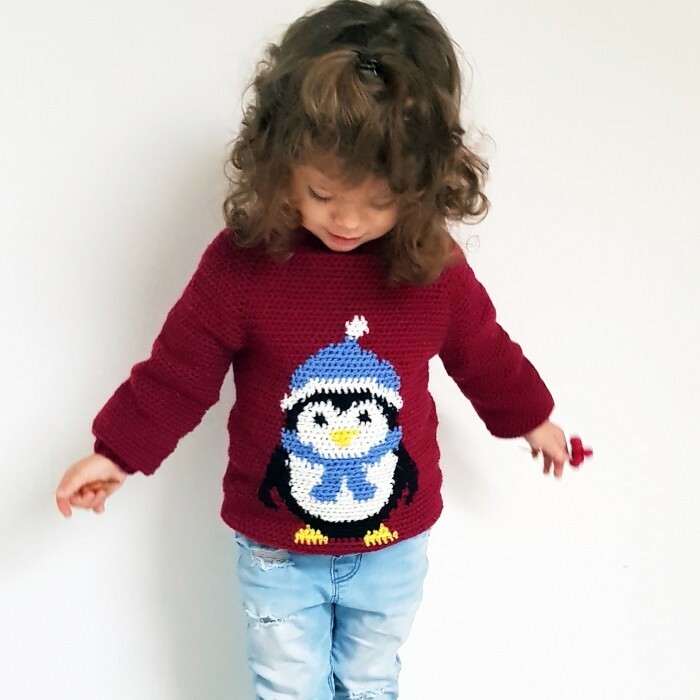 The pattern is available for sizes 2-8 years old, but it can easily be made bigger.